We offer six cover choices for the 2018 WeekDate Weekly Planner. We only do one printing a year. Sorry, when they're gone, they're gone. Why are these not on sale? 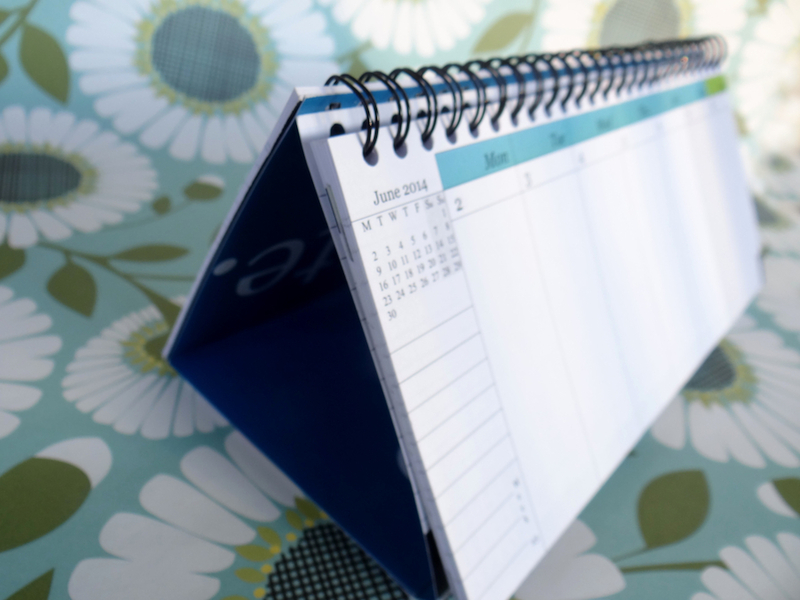 We will typically do not discount our dated planners. We often sell out before it is time to discount them. If you like our unique and amazing "Only Write It Once" design, help a company out and buy one before they're all gone. We are a small, yet growing, company. Thanks for the WeekDate love! Note: This is a Monday to Sunday calendar. We only do one printing a year. When they're gone, they're gone. Two weeks at at time? I get to see two weeks worth of calendar at a time? Sweet. Balancing the phone between your ear and shoulder... trying to do a million things... suddenly the voice on the phone tells you that your monthly book club or weekly status meeting has been moved to another day of the month or week. 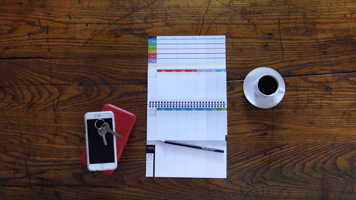 While some scramble through each month or week to make the change, the smart person has a WeekDate calendar... makes the change once and Voilà! – done for the year. Now, you're that smart person. Welcome to WeekDate. Just look in one column each day to see what you have scheduled! Only Write It Once. Could it be any easier? It's gonna be a good, good year. Use it the traditional WeekDate way... or set it up as a "tent" on your desk or countertop. Closed dimensions are 9" x 4½"
Introducing the new "WeekDate Time Tracker to watch your time go by throughout the year. Use it the traditional WeekDate way … Or … set it up as a tent calendar on your desk or countertop! Just look in one column to see all your activities for the day. Six fun Simple Cover Designs! Hide or show your "Monthlies" flap. You decide! 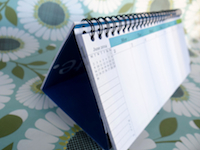 Use your "Weeklies" flap to save your place in the year. Every page has a tiny monthly view! Current year (2018) and next year (2019) views. "I take out my WeekDate calendar, and people immediately crowd around like I just started performing magic tricks like a David Blaine wannabe." Need even more? Here's our 2 minute "How It Works" video. Want to be the first to know about new products and calendar releases? Join the WeekDate email list. Help a company out. How did you hear about WeekDate?